This necklace is strung using black jet and magnasite graduating disc's. It measure about 24" long and center disc's measure approximately 5/8" long by 1/8" thick. 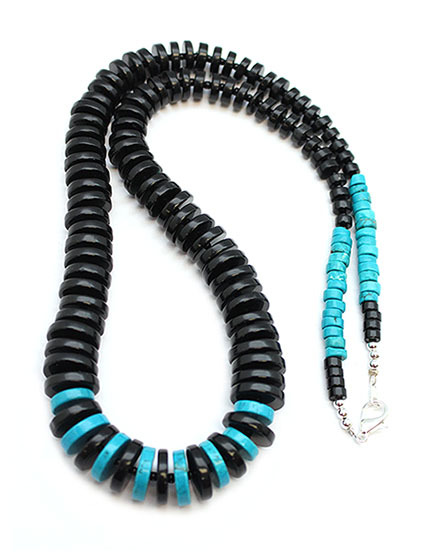 It is Navajo strung by Sandra Fracsisco and has silver plated findings.